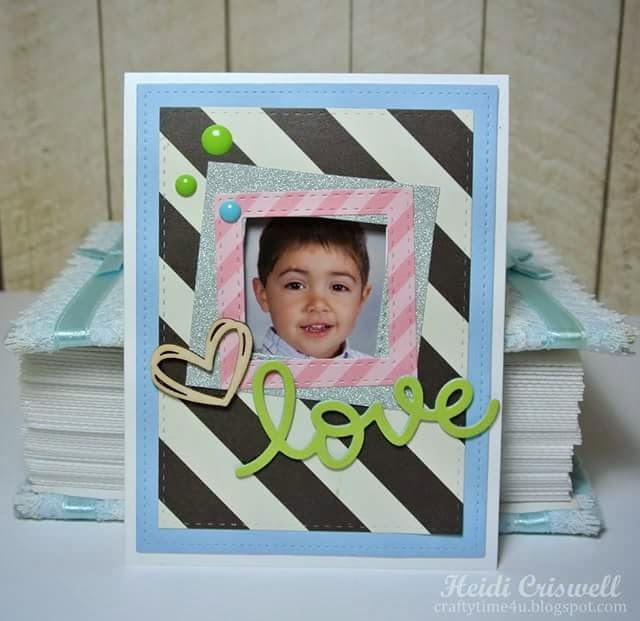 Welcome back to Crafty Time 4U, I hope you had a wonderful Mother's Day and a super fun weekend, with your love ones. Also I want to extend the the good Mother's Day wishes to those furry mothers out there, because you're really meant the world for those furry kids of yours! Even though Mother's day is over, I want to share with you a card that I created that purpose, you can used this idea for other occasions, such as Father's day, or Valentine's. I think this would be the ideal card for any mother, grandmother, father, or grandfather. It is like a keepsake. You'll have picture, or image of the most important person for you. This idea can be also used for a friend and put a picture of their pet, or such, possibilities are endless. Let's take a look to this photo-card, I hope you'll enjoy it, and give it a try, have a wonderful week! As you can see, it's a very simple card, all you have to do is die cut and assemble all the pieces to your taste, there is not right or wrong, you can make this photo card to your own taste. I adhered the picture to the inside and added a frame to it. 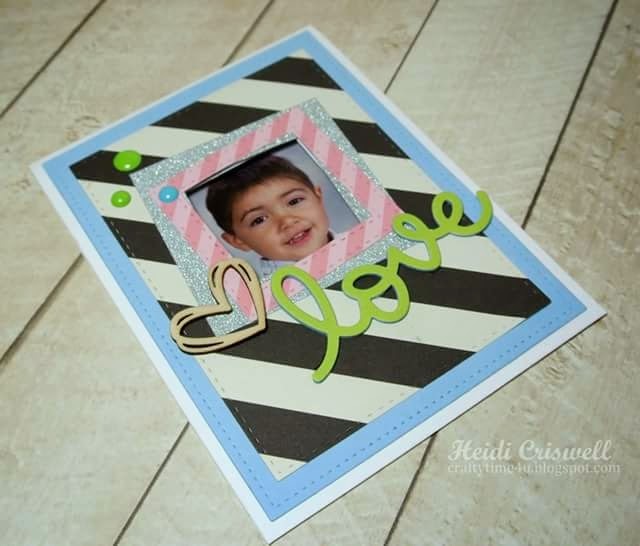 Also stamped the greeting from the Mother's day stamp by Lawn Fawn, for a finished inside! Thanks so much Amy for stopping by! Aww this is soo cute Heidi!! 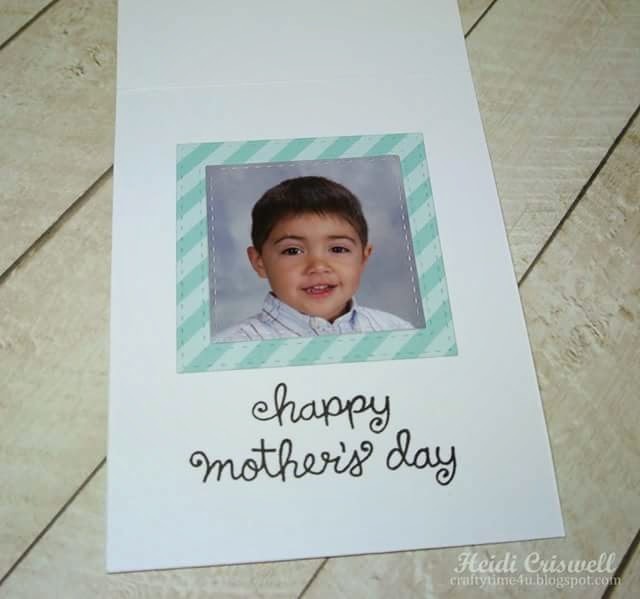 Love the idea of incorporating photos in cards , makes for the best gift. This is truly lovely! Thanks so much Shannon! yes it's a great idea for multiple occasions! So glad you liked it! 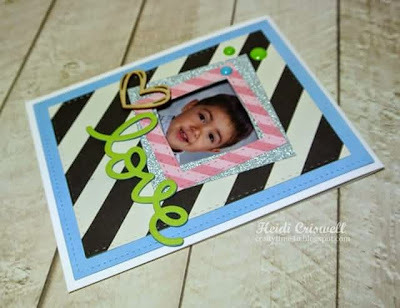 Such a sweet card!! Love the colours and the great frame. Thank you so much for playing along with us this week at the Simon Says Stamp Monday Challenge Blog! !